We’d love your help. Let us know what’s wrong with this preview of Dirt Music by Tim Winton. Luther Fox, a loner, haunted by his past, makes his living as an illegal fisherman, a shamateur. Before everyone in his family was killed in a freak rollover, he grew melons and played guitar in the family band. Robbed of all that, he has turned his back on music. There's too much emotion in it, too much memory and pain. One morning Fox is observed poaching by Georgie Jutland. Chance, or a kind of willed recklessness, has brought Georgie into the life and home of Jim Buckridge, the most prosperous fisherman in the area and a man who loathes poachers, Fox above all. But she's never fully settled into Jim's grand house on the water or into the inbred community with its history of violent secrets. After Georgie encounters Fox, her tentative hold on conventional life is severed. Neither of them would call it love, but they can't stay away from each other no matter how dangerous it is, and out on White Point it is very dangerous. Set in the dramatic landscape of Western Australia, Dirt Music is a love story about people stifled by grief and regret; a novel about the odds of breaking with the past and about the lure of music. Dirt music, Fox tells Georgie, is "anything you can play on a verandah or porch, without electricity." Even in the wild, Luther cannot escape it. There is, he discovers, no silence in nature. Ambitious, perfectly calibrated, Dirt Music resonates with suspense and supercharged emotion, and it confirms Tim Winton's status as the preeminent Australian novelist of his generation. To ask other readers questions about Dirt Music, please sign up. This is my last unread book from the 2002 Man Booker shortlist, which is the topic of a current discussion in The Mookse and The Gripes group. I am also planning to read several more from that year's longlist. This for me is the weakest of the six books, but it was still an interesting read. The story is largely set in the wilder parts of coastal Western Australia. It has three central characters and their relationship is something of a love triangle, but to portray the book in those terms would This is my last unread book from the 2002 Man Booker shortlist, which is the topic of a current discussion in The Mookse and The Gripes group. I am also planning to read several more from that year's longlist. This for me is the weakest of the six books, but it was still an interesting read. 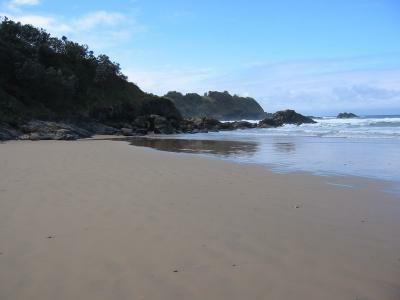 The story is largely set in the wilder parts of coastal Western Australia. It has three central characters and their relationship is something of a love triangle, but to portray the book in those terms would be a gross misrepresentation. It is much more about misfits and drifters and their attempts to find a place to survive in hostile terrain, which makes it more like an Australian western. All of the three main characters have secrets they are scarred by and hide from one another, and only at the very end is any concession made towards a happy resolution. At the heart of the book is Georgie, a drifter who has arrived in the fishing village of White Point on a boat with an ill-equipped sailor she wants to leave. She finds a place as the partner and housekeeper of Jim, a successful local fisherman and unofficial policeman of the local community who lives in the shadow of his more violent dead father's reputation. Georgie becomes intrigued by Luther, who has been poaching fish at night and has his own past as a musician whose family have all been killed in a car crash he survived. After a brief and impossible liaison with Georgie and reprisals from the White Point rednecks, Luther takes off on a trip north with a plan to attempt to live on his wits as a fisherman on a much wilder part of the coast. Georgie begins to settle for her life with Jim, but he conceives a trip north to find Luther. Dirt Music is one of those books that gets under your skin. Comes into your bed with you; changes your dreams; travels with you throughout the mundane details of everyday life. Winton's descriptive prose works both externally in its depiction of the natural land - the sea and desert of Western Australia which makes up its setting, and internally, in the way it goes deep inside the pain and anxieties of its characters, as they struggle to free themselves from tremendous damage, and paralysis. I'm on a bit of a Tim Winton kick at the moment. For years after reading - and loving - Cloudstreet I ignored his work. Now it seems that I can't get enough of it. And yet, for some of the time I was listening to the audiobook version of this novel, I wasn't sure how I felt about it. It has everything that I love about Winton's writing: down-to-earth Australian English, realistic dialogue, flawed and complex characters, rich symbolism, striking imagery and a strong connection with the natural world. However, there were times when the pace lagged and I wasn't sure where Winton was taking his characters. It all came together at the end in a way that made me hold my breath, but it did take rather a long time to get there. The ending of the novel is ambiguous, but I was in an optimistic mood when I finished listening and I chose to interpret what happened in a positive way. Maybe that's just because I’d become very attached to the central characters, Lu and Georgie, and I wanted them to find what they'd been looking for. The audiobook was narrated reasonably well - although not brilliantly - by Suzi Dougherty. While I didn’t mind listening to her, I won’t be going out of my way to listen to her narrating anything else. I also formed the impression that she may have been given an American edition of the novel to read. Unless there’s something about Western Australian idioms of which I’m completely unaware, I can’t imagine that Tim Winton would refer to a mobile phone as a cell phone, or to a filing cabinet as a file cabinet. This is a flawed, but still a powerful and haunting work - a 4.5 star read. Lu and Georgie are going to stay with me for a long time. Blokey novel, full of blokey blokes doing blokey stuff. Far too many people hanging upside down in vehicles of one kind or another, and the predictable ending was deliberately delayed too long for my patience. It's either a momentous portrayal of a raw, archaic world or rather silly, depending on your point of view. I found it silly. Tim Winton definitely does a great job of describing the West Australian landscape but the story & characters didn’t hold my interest at all. Maybe it was the complete lack of quotation marks for speech (WHY?!?!?!?) I seemed to be always stopping to work out if it was speech or thoughts etc, that I just didn’t become involved with the people (who I didn’t find likeable at all) or what was going on. This book is a descriptive marvel. You feel yourself there. You are one with the characters in their pain and their wrestle with memory and their attempt to come to terms with their wrecked lives. Even long after reading the final page, you feel like Georgie Jutland, Luther Fox, and, perhaps, Jim Buckridge, are persons you've known for a long time. And through their lives you look at your own in a new way. 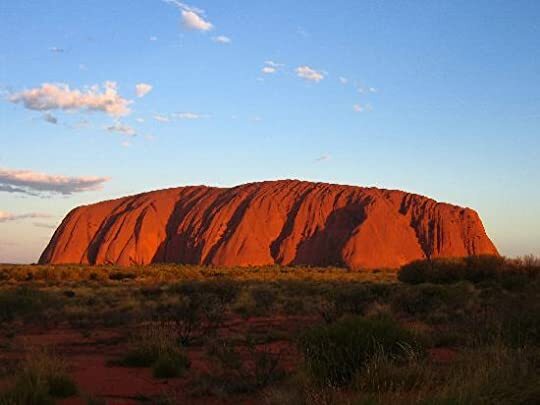 When I think of Australia, I think of orange desert, furry animals, the ocean, snakes, big rocks, dirt roads, land, a LOT of land. As a country with one of the lowest population density, it is easy to fantasise about vanishing into the endless land ahead and leaving civilisation behind. It is not that romantic though, think about the sun burn, dehydration, windstorm, and boredom that would drive you insane. You know how famous landmarks - bridges, skyscrapers, tend to gather people with suicidal intention? 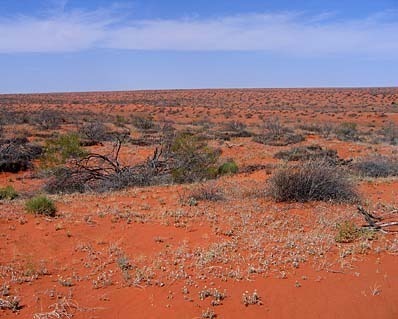 So why do so few people choose say, the Simpson desert, as their final destination? I don't know much about psychology, but I think one of the reason is the effort it would take to consciously die in the wilderness, or rather, the agony of it. There is not instant death but you can't be a permanent hermit either. It is like punishing yourself in a a hotel with five-star view in hell. Dirt music revolves around three people: Georgie Jutland, the private school educated nurse who is married to Jim Buckridge, a fisherman in small town Western Australia and Luther Fox, a retired musician whom Georgie has an affair with. Dirt music is also much more than the relationship between them, it is a platform of self-reflection and alienation. The connections between the characters are superficial, they are merely titles imposed on them by the intolerant, close-knitted community they exist in. It is no coincidence that the three protagonists are drawn to the wilderness, albeit for vastly different reasons. They seek redemption and enlightenment through the epic journey into this little island at the edge of the Indian ocean where the ending takes place. To me, it is the ending that makes the read remarkable, everything is so obvious, inevitable, they are broken people to start with and end up choosing to exile to the harsh Australian landscape. A down side is that the characters tend to be static like the environment. Dynamic personalities are compromised by constant self-pitying and dull monologues. Most of the time they brood and sulk around in between gorgeous exploration of the outdoor. "God knows, music will undo you, and yet you're whacking this thing into a long, gorgeous, monotonous, hypnotic note and it's not killing you, it's not driving you into some burning screaming wreck of yourself - listen! (...) The sudden groove you're in - damn, just listen to that!" 40-year-old Georgie lives with Jim, a widowed fisherman and father of two, in (the invented town of) White Point, Western Australia. Unemployed, unhappy and a heavy drinker, she feels stuck in her own life, until she "God knows, music will undo you, and yet you're whacking this thing into a long, gorgeous, monotonous, hypnotic note and it's not killing you, it's not driving you into some burning screaming wreck of yourself - listen! (...) The sudden groove you're in - damn, just listen to that!" 40-year-old Georgie lives with Jim, a widowed fisherman and father of two, in (the invented town of) White Point, Western Australia. Unemployed, unhappy and a heavy drinker, she feels stuck in her own life, until she begins an affair with Lu, a drop-out and former musician - and from there on, all of their lives start to spin out of control, as past and present collapse into each other and culminate in a chase through the Australian wilderness. Tim Winton's ability to describe nature and to create atmosphere is nothing short of fantastic. He elevates the natural surroundings to make them a protagonist in their own right, while his descriptions also mirror and influence the novel's characters: Georgie, Lu and Jim are all torn between the natural and the magical (do things like luck and karma exist? ), between feeling and numbing themselves, between controlling and being controlled. These tendencies can also be detected in how they experience nature. Moreover, Winton's lyrical depiction of nature manages to give the reader a constant feeling that all characters are subjected to forces beyond their control - and that they certainly cannot master these forces, but they can adjust themselves to them. Furthermore, the complex and vivid way Winton finds to create his characters makes it almost impossible to give a short account of their trials and tribulations: Georgie is a former nurse who used to travel the world; she re-evaluates and faces the true nature of her relationship with Jim; it remains ambivalent whether or how clearly she sees the parallels between Jim and Lu; she struggles with her rich family, her divorced parents, her unhappy sisters; she tries to overcome her passivity and searches for a way out; etc....And not only are there many (not necessarily interrelated) aspects and individual stories to each character, Winton also brings the city of White Point to life, the oppressive atmosphere, the control exercised via the many close relationships and peer pressure, the self-righteousness and racism that reign rather freely. Which brings us to the heart of the problem of this novel: There is just too much in there, especially too much atmospheric description - although it is extremely well done, it tends to overwhelm the narrative. At one of the decisive turning points of the story, I also found what seems to me like an implosion of inherent logic (view spoiler)[: Why in the world does Georgie join Jim in his hunt for Lu and does not even press for details regardings Jim's motivations? Because she misses Lu? Come on! (hide spoiler)]. To make matters worse, the ending is pretty much a desaster, and a completely contrived one for that - I could not see how it possibly fits with the ideas and thoughts Winton elaborates on in the course of his text (and there were many of them, all of them extremely interesting). Dirt Music came as a complete surprise. To date I have read one Tim Winton novel, which was Cloudstreet, and I thought it was good. Dirt Music, however is a superior novel. Georgie is forty years old and trapped in a relationship with a person she doesn't love and lives in a small hick town in western Australia. Through a series of coincidences she finds rugged loser, Luther Fox and they strike up a relationship. However her husband comes from a long line of thugs and when he finds out that she's been cheating on him, he makes sure that everyone will know the consequences. Although I am making it sound like a soap opera, it isn't. Dirt Music is a powerful novel about relationships, different social classes and the dynamics of the inhabitants of a small town. There's some plot twists regarding the backgrounds of the characters but the real beauty lies in WInton's use of language. Never have I read a writer who can mix poetic writing with Australian slang. For a 465 page book, it moves at a fast pace. This was one book where I just re-read sentences so I can absorb the beauty. A memorable read. Dirt Music is story never give up on your dream. Georgie Jutland is a forty-year-old woman who was bored with her life. However, this change when one day was walking along the beach Georgie met Luther Fox, and her life was changed forever. The readers of Dirt Music will follow Georgie and Luther's to see what happens to them. I not sure why but I always have problems reading Tim Winton's books. I find that I can never really fully absorb Tim Winton stories as I do with other writers. However, I d Dirt Music is story never give up on your dream. Georgie Jutland is a forty-year-old woman who was bored with her life. However, this change when one day was walking along the beach Georgie met Luther Fox, and her life was changed forever. The readers of Dirt Music will follow Georgie and Luther's to see what happens to them. I not sure why but I always have problems reading Tim Winton's books. I find that I can never really fully absorb Tim Winton stories as I do with other writers. However, I do agree with other readers that Tim Winton is incredible the way he set the scene of his plots. I also like the way he describes living in small seaside town. I do like the way Time Winton portrays his characters. With Dirt Music Tim Winton does highlights that if you are unhappy with your life, there is nothing to stop you from changing it. Poetski stil pisanja, svaka čast! This was odd. This book has 500 pages and I couldn't stop reading it although I didn’t like it. It's a book about West and North Australia. It sure is contemporary, if contemporary means deep emotions, metaphysics, mystery, heartbreaking love, suffocating pain, guilt, remorse and redemption. Connected with nature but that is I suppose normal if you live in Australia. But, it failed to be memorable and I didn’t believe these characters and their love triangle was weird. They were bordering betwee This was odd. This book has 500 pages and I couldn't stop reading it although I didn’t like it. It's a book about West and North Australia. It sure is contemporary, if contemporary means deep emotions, metaphysics, mystery, heartbreaking love, suffocating pain, guilt, remorse and redemption. Connected with nature but that is I suppose normal if you live in Australia. But, it failed to be memorable and I didn’t believe these characters and their love triangle was weird. They were bordering between totally plain and fucked up. And I kept reading because there was this big secret at the end - which was rather lame. And I could write an essay about how bad end really was. I’m not using drugs, but if I had taken something during the reading I would have had really bad tripping experience. One of the best contemporary books I've read for a long time. Tim Winton is at one with his home area around Perth, WA and has written a story that whisks you there. It tells of Georgie, a forty year old retired nurse who surfs the net and appreciates her vodka; Jim Buckridge, Georgie's lover, who is a successful fisherman and the "uncrowned prince" of White Point; and Luther Fox, the unluckiest outcast in White Point who is grieving the loss of his entire family and poaching lobster traps. The s One of the best contemporary books I've read for a long time. Tim Winton is at one with his home area around Perth, WA and has written a story that whisks you there. The story is full of amazingly life-like and interesting characters, vivid, evocative language. The dialogue is natural, at times funny and warm and always completely realistic. You are in WA and are intimitately involved with these people whilst you're reading. There are many spots of warmth and humour in a novel that is essentially quite bleak for some of the characters. If anyone out there has not yet come across this Australian author, start here! Its Australian, I am meant to like Australian novels (being an Aussie) but I hated this book. At the end I wanted to throw the book out the window and wish for the hours I spent reading this book given back to me. I truly hated the story, I truly found nothing forgiving or likeable about anybody in this book and the ending!!! That still makes me fume as I write it. What a great read. Buckridge and Fox and Georgie all rolling out their past wounds into the complex story of the place in their lives where Tim drops us right down with a plop. I loved each character because of their struggles with self-awareness, their willingness to touch, even if ever so slightly, their own pain and try to sort it out. Tim always does the most amazing job taking me to Australia, the many ways of experiencing the country and the many eyes through which the landscape can be vie What a great read. Buckridge and Fox and Georgie all rolling out their past wounds into the complex story of the place in their lives where Tim drops us right down with a plop. I loved each character because of their struggles with self-awareness, their willingness to touch, even if ever so slightly, their own pain and try to sort it out. Tim always does the most amazing job taking me to Australia, the many ways of experiencing the country and the many eyes through which the landscape can be viewed, understood, embraced. I did struggle a bit with the language (y'all are writing in English, right?) and some of the story line, especially toward the end. I wasn't sure whether Tim wanted us to engage in that growing feeling of disorientation that Fox surely felt (which I also found myself experiencing) or whether he just unintentionally became slightly disoriented in the telling. So I got to the end and read the last few pages several times and still wasn't sure where I was at. Maybe that was his intention. But I didn't want to be there and that's why I gave the story four stars instead of five. But thanks for not killing, them, Tim which is where I thought the story line might be going, all three of them dead in this Australian nether land, the nether land of the human soul. My experience was that none of the three of them had any sure sense of where any of their relationships would go after the experience they had together. OK. But did Fox die? Maybe not. The last words were from his consciousness. Is that it? Is the reality of her literally and figuratively breathing the life back into him? Is she necessary in some way for his healing to come about? This is going to be a hard one for me to write about. Dirt Music, by well-known Australian author Tim Winton, has been on my reading list for ages and I finally was able to pick it up. I wanted to like it. I wanted to love it. After reading it, though, I'm not quite sure what to make of it. It took me about 160 pages to stop wanting to put the book down, although after I hit that point, I did really want to finish it. First I want to point out that I'm a bit of a lazy reader. I also have definite This is going to be a hard one for me to write about. 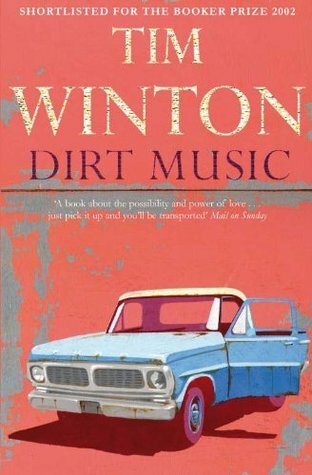 Dirt Music, by well-known Australian author Tim Winton, has been on my reading list for ages and I finally was able to pick it up. I wanted to like it. I wanted to love it. After reading it, though, I'm not quite sure what to make of it. It took me about 160 pages to stop wanting to put the book down, although after I hit that point, I did really want to finish it. First I want to point out that I'm a bit of a lazy reader. I also have definite tendencies to be annoyed by the following: 1. Lack of punctuation. 2. Present tense. 3. That really really literary-fiction style where you NEVER tell, you ONLY show. Dirt Music suffers from all three. The present tense I can forgive in this book because it was fairly limited in it's use. The No Tell is supposed to be the best style of writing but when it's overdone it annoys me, and it did in this book. Also... Please use punctuation Mr. Winton. I'm begging you. God invented the quotation mark for a reason. I swear. If your keyboard is broken such that the quote key isn't working, I'll chip in for a new one. Am I being petty? Perhaps, but it is too much work to read something where the dialog isn't properly marked. You don't know immediately if they actually said something or if it's character thoughts, or if it's narrative. I also had a problem with this book because I didn't feel like I really understood the characters. This is possibly because the book suffered a lot from my pet peeve #3 above, and maybe I didn't catch all the nuances of the "showing." In particular, I never really felt like I understood Georgie, the main character. Why did she fall for Luther Fox? Why did she do the other things she did in this book? I feel like the things she did and how she acted was very interesting, I just didn't feel that I knew her. The author doles out her past in tiny ambiguous chunks and I just couldn't put the puzzle together. Georgie's character should have made for a good story, but I never felt like I understood her, so it all kept coming out of the blue for me. I also wasn't sure what to make of the ending. I'm not always one who looks for the "wrapped up in a shiny red bow" ending, but I do prefer a certain amount of structure so I know what the author intended. Even a wide-open ending purposefully set to invoke question is something I like. But Dirt Music was neither of these, in my opinion. So what did I like? I liked the setting. We see small-town fishing-village Australia and later some of the northern outback. I liked that. I liked the relationship between Georgie and Luther (although I didn't particularly understand it). I quite liked the character of Luther. I liked his backstory. I found he was the most interesting. I liked how he "ran away" from his life and eventually brought about an internal healing of himself and the ability to get back to music. I liked his hitching journey across Australia and his retreat from everything. Toward the end of the book we get to know the character of Jim a bit more, and I liked that as well. While Jim's character didn't intrigue me, I wanted to know more about him, if only to shed more light on Georgie's character and actions. I'd definitely recommend this book, but I think something got lost in translation for me personally since I've never been to Australia and could only try to envision the places Winton talks about in here. Landscape (geographical in its relation to human) is such an integral part of this novel that I feel sort of left out not ever having seen any of the place. 3)Luther Fox (Lu), who lost his brother, his brother's wife (who played music for a living and played at home for the enjoyment of it all) & his niece and nephew in a stupid car accident and resolved never to hear or play music again. Luther is a shamateur -- a poacher, who gets up long before all of the other fishermen, encroaches on their territories and sells his fish to make good $. To make a long synopsis short, Lu & Georgie begin a relationship, Jim finds out, Lu's dog is killed, truck demolished and Lu decides that the Buckridge power in the town is no match and that he will be leaving. Jim has is own issues...and wants to confront Lu, and so goes out in search of Lu with Georgie along. Lu, it seems, took off on the road going north, and it is only when he is forced to live without the company of others on an uninhabited island that he can come to terms with his own existence & meaning -- what he calls earlier "dirt music." I enjoyed most the scenes in which Lu is hitching rides up north and going through the different landscapes both of geography and of human existence, especially portrayed in the people Lu meets on his travels. This was a lyrically beautiful book. The only way West Australia could seem more real and present would be by going there. The journey that this book takes you on uses two different people as the primary vehicles, both aimless in life and adrift in their own skins. Georgie Jutland has abandoned her career and ended up empty of motivation in a fictional town called White Point. Lu Fox is essentially empty of purpose and wholly drifting through life, so far out of the society of White Point that he This was a lyrically beautiful book. The only way West Australia could seem more real and present would be by going there. The journey that this book takes you on uses two different people as the primary vehicles, both aimless in life and adrift in their own skins. Georgie Jutland has abandoned her career and ended up empty of motivation in a fictional town called White Point. Lu Fox is essentially empty of purpose and wholly drifting through life, so far out of the society of White Point that he is practically a ghost. When their two lives intersect the events that result in their meeting get under your skin so that you cannot stop reading. The characters are superb, even the smallest bit character seems real, but the real star of this novel is Australia the land that provides the 'dirt' for the dirt music. In a single sentence Winton seems able to invoke the intoxicating allure of the Indian Ocean in summer, the smell of red desert at twilight, native bushland or swampy mangrove. But the next sentence will vividly describe the crushing dry heat, the agony of sandflies or the lassitude that the tropics is so good at imposing on you, reminding one of all the reasons you don,t want to live there. Basically, what Winton does is make the places he writes about feel so very real! I loved reading this for the descriptions, I lost myself in them utterly and they were convincing beyond any photo or film. Now,the main characters; an oddity I found was that while, in many ways, you could be exasperated by Georgie (as indeed most of the inhabitants of White Point were) over her poor decisions making it never actually made her less real as a character and it never put me off reading. Usually, a character who repetitively does stupid things annoys me, but Georgie seemed immune to scorn as she messed up her life again and again. This is an award winning novel, it won the Miles Franklin in 2002 and was nominated for the Man Booker as well. Neither award gets my respect as a rule, they have awarded some shockers over the years, it is nice to see they also awarded and nominated some beautifully written, top notch, lyrical prose as well. Georgie Jutland is a mess. At forty, with her career in ruins, she finds herself stranded in White Point with a fisherman she doesn't love and two kids whose dead mother she can never replace. Leached of all confidence, she spends her days in isolated tedium and her nights in a blur of vodka and self-recrimination. One morning, in the boozy pre-dawn gloom, she sees a shadow drifting up on the beach below—a loner called Luther Fox, with danger in his wake. The story of Georgie and Luther (Lu) is set against a wildly beautiful but deadly Australia, one that sings to those who live there while also cutting deep. A terrible and unforgiving place, much like Georgie's lover, Jim, the land is just as much a character in this awesomely alive novel of epic loss, unforgivable transgressions and ultimate redemption. The prose has raw power that compels the reader forward through stunning landscapes and unforgettable places to seemingly inevitable personal disaster for Georgie, Jim and Lu. I couldn't rip my eyes from the pages. I wanted to like this book. I really did. But unfortunately it failed to resonate with me on nearly every level. Many people love Tim Winton's work, I'm not one of them. I cannot see what the big deal is. Boring characters, unbelievable dialogue and pretentious lack of grammatical markers (yes, he's not the only one to do this, but it's still annoying), just for starters. Too high-brow and annoying for me. Avoid. 4 1/2 stars ... This is my second reading, and obvious the first time, long ago, didn't resonate. This time I absolutely loved it. I even understood the ending. VERY satisfying. I don't agree with Karen that this book is overly blokeish or laddish. I'm on page 100 and really enjoying it so far. The main character so far(Georgie) is a woman. This is not a love story. This is a story of when two outcasts in a small town come together and share their broken lives. Georgie is with Jim Buckridge, someone who is revered in the small fishing town of White Point. His sons show her contempt but she feels they love her deep down but cant show it. Luther Fox, destroyed by a horrific accident that took his whole family has been living by stealing fish since. A xenophobic neighbour mutilates his dog and runs him out of town once he finds out abou This is not a love story. This is a story of when two outcasts in a small town come together and share their broken lives. Luther Fox, destroyed by a horrific accident that took his whole family has been living by stealing fish since. A xenophobic neighbour mutilates his dog and runs him out of town once he finds out about him and Georgie. The characters in this book are very compelling. We become frustrated with Georgie. She has lived her life with little care and has always strived for her Mother to approve of her yet she never has. She is reckless but is also marked with cynicism. Her life in White Point is boring and she has no interest in mingling with any of her neighbours because of the knowledge that she will never be accepted. Fox on the other hand is damaged goods. He lives with his dog, and makes a living stealing from the fishermen he reviles. His family is known for bad luck in the town from long ago. He realises when he is deep in the outback that he has been grieving for people who didn't treat him very well, he is comfortable with this assessment but still feels grief. He always knew his brother and his wife weren't the nicest of people, but feels indebted to them still for the music. Multi layered, beautifully written, descriptive and atmospheric. A love story revolving around a love triangle, but also a journey of self discovery for each of the three troubled characters, each with more baggage than an inner city railway station. They are a mess, and so are the relationships. Set against the raw and rough and unforgiving land and sea scape of Western Australia, beauty and love and forgiveness somehow happen amongst these three damaged individuals. What remains with me the mo Multi layered, beautifully written, descriptive and atmospheric. A love story revolving around a love triangle, but also a journey of self discovery for each of the three troubled characters, each with more baggage than an inner city railway station. They are a mess, and so are the relationships. Set against the raw and rough and unforgiving land and sea scape of Western Australia, beauty and love and forgiveness somehow happen amongst these three damaged individuals. What remains with me the most is the power of the human spirit to overcome and that where there is life there is hope. It is not a sad story by any means but there are a number of obstacles and challenges! Georgie Jutland, in her early 40s, ex nurse who somehow finds herself living with fisheman Jim Buckridge, sad widower with 2 young sons, in a fishing town on the coast. Jim has a hard man reputation to live up to which is not really him. Georgie has come to the realization her life has no meaning but does not know what to do about it other than drink and roam the beaches in the middle of the night. Lastly there is Luther Fox, probably around the same age, born and bred in the same area, who is dealing with losing his family in a tragic vehicle accident, of which he was the only survivor. He is also leading an aimless life, trying to make a living by fishing illegally. The clash when the lives of these three diverge keeps you turning the pages. I have read 'Cloudstreet', an early novel of Tim Winton's, which I did not really enjoy, I am glad I persevered with another of his books. Here is an interesting writer. In some way I think he is still in his formative years...in the early part of the book, he does his best to shock the reader in every second sentence, overkill, subtle as a brick through a window. However, this book is a fabulous read and when the shock factor eases back in his writing about 100 pages in, the writing morphs into astonishingly evocative imagery. The words themselves have a "sound" to them that must be taken in along with the visuals evoked. Tim Winto Here is an interesting writer. In some way I think he is still in his formative years...in the early part of the book, he does his best to shock the reader in every second sentence, overkill, subtle as a brick through a window. However, this book is a fabulous read and when the shock factor eases back in his writing about 100 pages in, the writing morphs into astonishingly evocative imagery. The words themselves have a "sound" to them that must be taken in along with the visuals evoked. Tim Winton "paints" the Australian landscape in sound bites in the mind, great auditory chunks. He brings the land alive for the reader. The story flows well and grabbed me from the first pages. It is so very Australian. The dialogue is brilliant and conversation is a strong feature of the narrative. The author has such a skill in involving the reader in the lives of the characters. So often poignant. However, he doesn't involve the reader in the actual history of the main character's life in any depth until 175 pages in. By this time there's a good reason for it....we're wondering what makes this woman so self-destructive. The plot very much reflects how it is in remote regions of Australia. Police are few. Men make their own laws. The stuff in this book does happen. There's a wonderful crafting of the story....grandly, slyly weaving what feel like malevolence, then backing off so that we see a projection. It's a brilliant work. I loved it. The characters stayed with me for days after I finished the novel. Wonderful descriptive and lyrical prose with music intertwined throughout that gives you such a sense of place, for good or bad (I know I wouldn't want to live in White Point, since it's not a real place I'm not sure if the name is intentional as it a very "white" town). An interesting type of love story given that the love interests spend most of the book apart physically and without any other communication. Though the character Georgie is historically the wanderer, Lu is the one to go on a 'walkabout'. Despite this, they go through in parallel, a realization and acceptance about their pasts, Lu from a family tragedy and Georgie (a nurse) from a incident with a patient. The novel switches from Georgie and Lu's viewpoints and through those insights you see the personal awareness and love for one another slowly building.